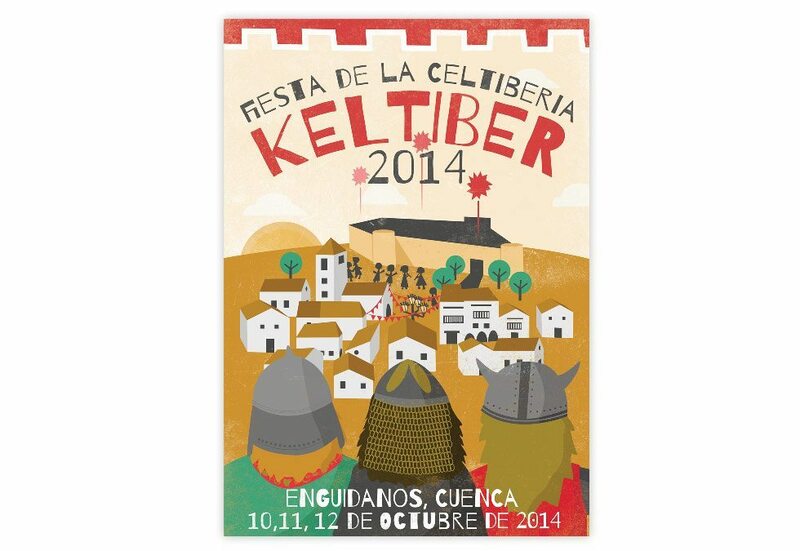 Poster design for – Keltiberia 2014 – an annual contest to promote the Celtic festivities of the Spanish village of Enguidanos (Cuenca) an important historic village with Celtic remains. 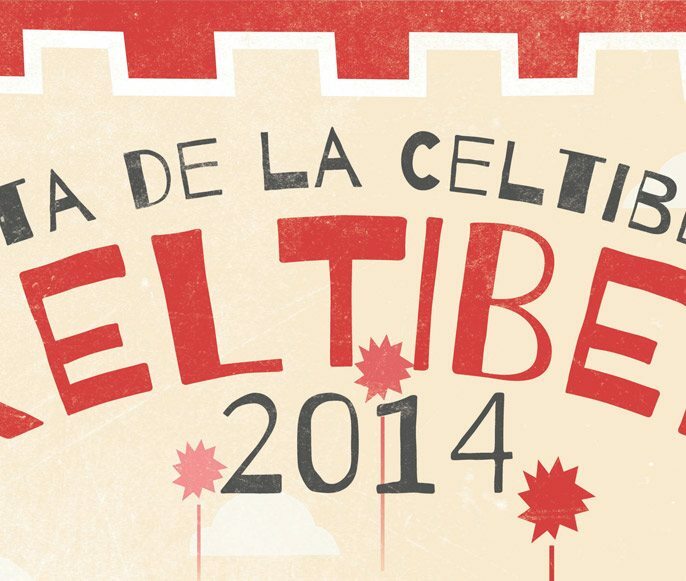 The village is trying to promote tourism in the village with 3 days of festivities. I decided to enter the competition as it gave me a chance to use some different techniques that I don’t get to use regularly for client work. 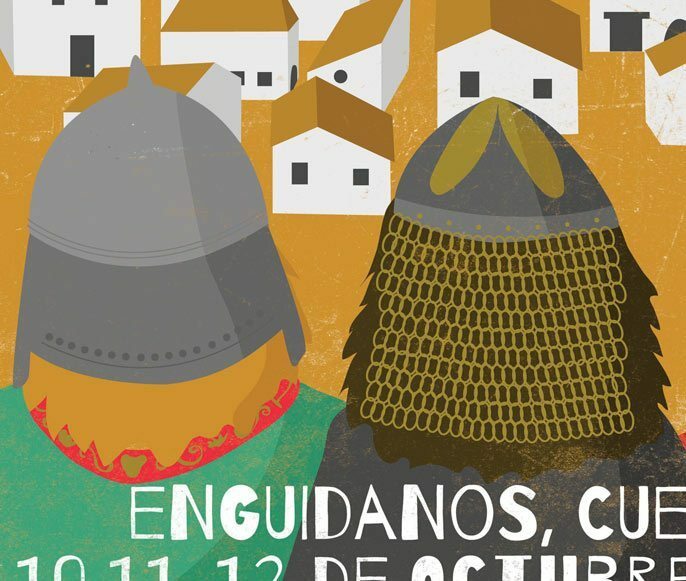 For the contest I decided to focus the design on a few elements of the village: the castle, an ancient lamppost and the typical architecture of the houses (see detail below) but the main element of the poster are the 3 Celtics warriors in the forefront. 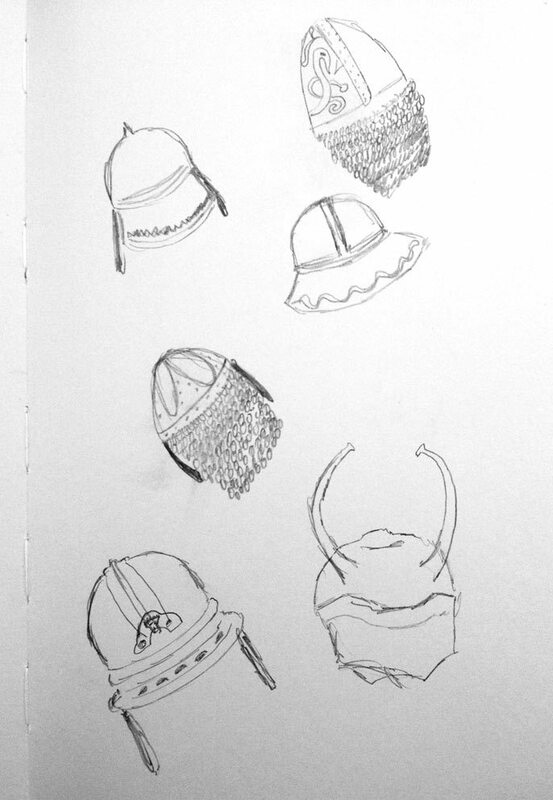 To illustrate them I did some research about clothing and armour to get an idea about the style of Celtic warriors. 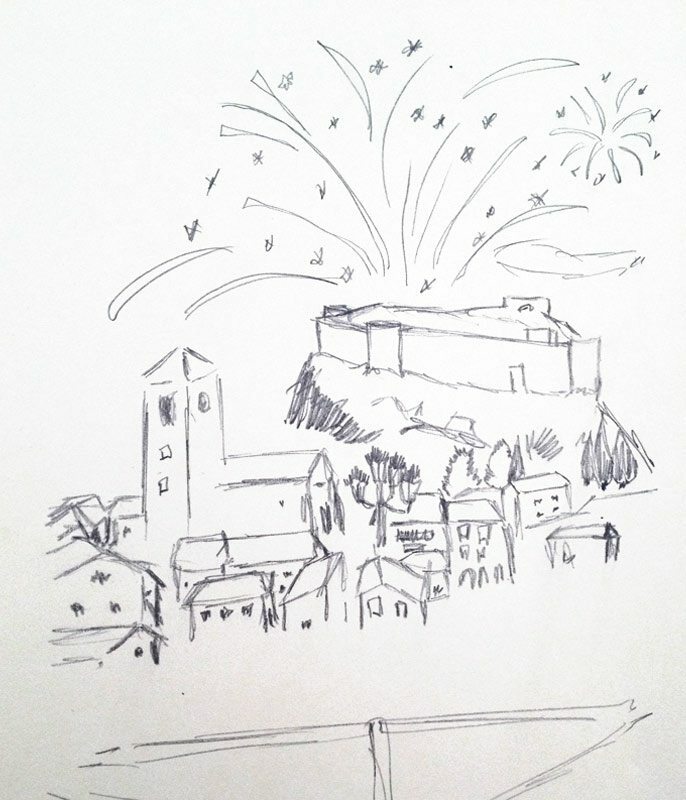 I wanted to represent the idea that the village is so well known for their festivities that even authentic Celtics warriors have heard about them and want to join in the party. 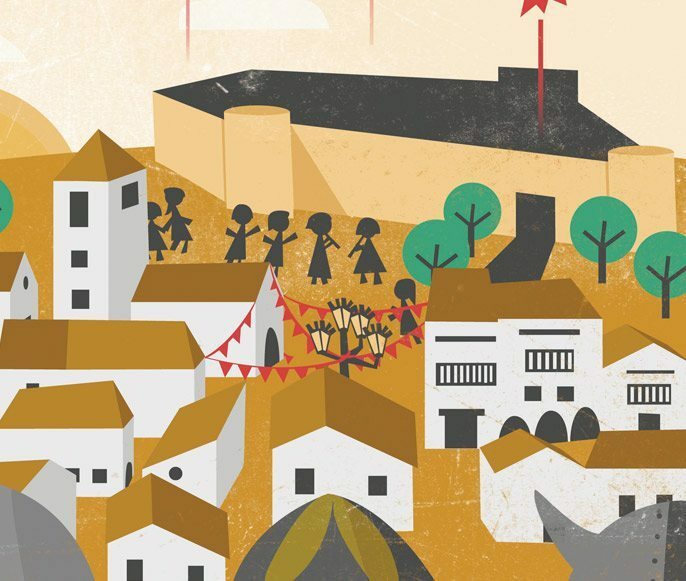 The colours selected are browns and red as the village is located in the middle of Spain, an area with scant vegetation, surrounded by fields of barley and hay. I added some texture to the poster to give it a vintage finish.